January | 2016 | Enough of this Tomfoolery! The release of the film Suffragette late in 2015 brought the spotlight back on the efforts of several British women during the late 19th and early 20th centuries for women to have the same voting rights as men. Leaving aside the various shortcomings of the film, its biggest limitations were its inability to tackle all aspects of the movement or even subject it to in-depth analysis. For that, we will have to turn to other means such as books, articles, biographies, etc to obtain a more rounded picture of the struggles women faced in order to obtain the right to vote. One of these is Sophia: Princess, Suffragette, Revolutionary by BBC journalist Anita Anand: an admirable attempt to bring to the forefront a life that has been pushed to the shadows and more or less forgotten. Princess Sophia Duleep Singh was born and lived in a time when the British Empire was at its height and lived to see it gradually dismantled. Her eventful life also saw her caught up with the winds of change that were to sweep Britain during the twentieth century and as the book’s title suggest, she would play her part in helping bring about some of these changes. Born in 1876 to the exiled Maharajah Duleep Singh and his half German and half Abyssinian wife Maharani Bamba, she was christened Sophia Alexandrovna: the second name being the Maharajah’s way of honouring Queen Victoria, who agreed to become the girl’s godmother. While she and her siblings were raised in the conventional upper class way, their foreign name and skin colour would always mark them out as being different, yet their royal connections and their friendships with leading members of the aristocracy meant that the family was at the heart of the Establishment. Anand goes back to the history of how Punjab was formally annexed into the British Empire to explain how the Maharajah came to settle in Britain, marry, raise a family and live the life of a British aristocrat. A son of Ranjit Singh, the “Lion of the Punjab”, Duleep was installed as maharajah as an infant after two half-brothers and their sons met their ends in highly suspicious circumstances brought about by infighting among Ranjit Singh’s family. This power vacuum was seized upon by the British East India Company who finally invaded the Punjab and by now, eleven years old, the Maharajah Duleep signed away his kingdom and his fortune (including the famous Koh-i-Noor diamond) in exchange for a pension from the British government. Under the care of a well-respected British doctor in India, John Spencer Login and his wife, Duleep converted to Christianity, began to receive an education befitting an English gentleman and at the age of 15, left India for Britain to finally meet Queen Victoria. From the moment he arrived in Britain, Duleep was well received at Court and became an intimate of the Royal Family which led to the doors of aristocratic homes being open to him as well. Provided with money from the government and with a wide circle of friends, Duleep married and established himself as a squire with a country estate in Suffolk, Elveden and a house in London where his wife gave birth and raised their six children. However by the time Sophia was a child, the cracks in this family idyll began to show as the Maharajah, testing the limits to what the British government had provided for him, began to plan regaining his kingdom, then abandoning his wife and family for another woman only to die in poverty but reconciled with Queen Victoria. 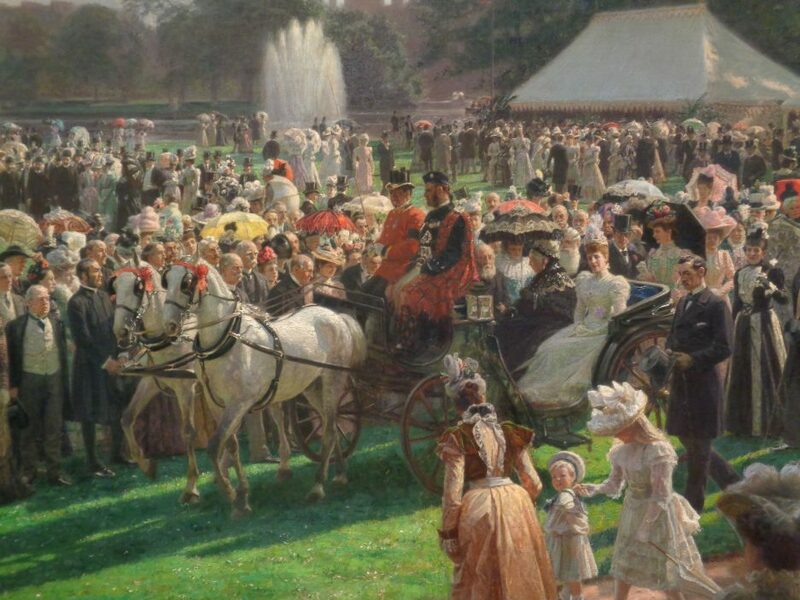 In part two we get to know more about Sophia as she grew up: as befitting an upper class girl and a goddaughter to Queen Victoria, Sophia and her sisters were presented at Court and subsequently enjoyed the life of a typical upper class woman. She was given a grace and favour apartment at Hampton Court Palace; went to parties, balls and other social events and became well known for her fashion sense, her passion for cycling and being a dog breeder. It was only during a trip to India with her older sister Bamba that her political sensibilities were awakened. Although she was a supporter of Indian independence, it was her backing for the suffragette movement that became the main driving force in Sophia’s life. She donated money to the cause, attended meetings, handed out leaflets, took part in marches and even refused to take part in the 1911 Census where she defaced her form with the note: “No vote, no census. As women do not count, they refuse to be counted, and I have a conscientious objection to filling in this form.” While many of her fellow suffragettes suffered from heavy handedness from the police and force feeding in prison, Sophia much to her chagrin was untouched. Clearly, her royal and aristocratic connections were a huge factor and the authorities, mindful of her support for Indian nationalism, were wary of turning her into a martyr. With the outbreak of the First World War, Sophia turned to nursing and raising funds for the war effort and although she was unable to speak Hindustani, her presence was a source of comfort for Indian soldiers and officers who were being treated and convalescing in British hospitals. The years following the war saw Sophia living in more reduced circumstances and devoting her time to helping raise the child of her chauffeur and housekeeper as well as taking in evacuees during the Second World War where she treated them as her own. It is a testament to bond that she formed with these children that they have retained affectionate memories of her. On the whole, Sophia stands out for Anand’s journalistic eye for detail where she evokes the history of the Duleep Singh family and bringing out Sophia’s personality and that of her siblings (all of who were larger than life in their own ways). In addition, Anand should also be commended for her efforts in adding to our knowledge of the suffragette movement through the eyes of Sophia Duleep Singh. There are weaknesses however that appear most notably for instance what I see is the exaggeration of Sophia’s progressive credentials. We do not know what were her views on the role of religion and caste with regards to India’s problems, and for someone who was active in the fight for the women’s right to vote, what were her views on the deplorable state of Indian women then? In addition there is also the tendency to downplay that she was a more of a figurehead in the suffragette movement and in the end the suffragettes’ tactics did little to advance the cause of the women’s right to vote. Lastly was the presence of the wrong use of titles such as Lady Lytton instead of Lady Constance and Lord John French instead of Lord French which I put down to sloppy editing and proofreading but which mars an otherwise interesting read. In the end, Sophia’s story is a timely reminder for women never to take their lives and rights for granted. As she told her goddaughter Drovna Oxley, “You are never, ever not to vote. You must promise me. When you are allowed to vote you are never, ever to fail to do so. You don’t realise how far we’ve come. Promise me.” As Mrs Oxley tells Anand, she has kept her promise ever since she reached voting age and to me, that is Sophia’s greatest legacy. This is a review of the paperback version of Sophia: Princess, Suffragette, Revolutionary published in 2015 by Bloomsbury Press.